How do I go about making sense of what is happening in world events? When a scientist observes the natural world, he does so having first studied and familiarised himself with a number of fundamentals in his chosen field, and he seeks to understand the phenomena in the light of those fundamentals. If one is interested in history and current events from a spiritual scientific perspective, it is helpful to familiarise oneself with the fundamentals of understanding history – what Rudolf Steiner calls ‘the evolution of human consciousness’ and then consider, from among the immense plenitude of historical phenomena, certain key phenomena that he calls ‘symptoms’ which illuminate the time around them because of the way they reflect the background fundamentals. All this belongs to the deductive approach of spiritual science. The key thought is that all that exists in human history is the result of consciousness, or rather the particular consciousnesses of a great array of beings, from human beings up to the consciousnesses of beings vastly more superior to human consciousness, for example the consciousness that can keep a planetary system in harmonious motion. Obviously, these consciousnesses used to be called ‘gods’; we are now trying to understand them in a modern, scientific form. Everything we see around us in the human environment is there because of a human consciousness: a road in a town, a road-sign that says “Stop!”, a police car that chases you if you fail to stop at the sign, a courtroom, a body of laws, a Parliament, a State. All are the result of human beings who had ideas to do things and then exerted their will to do them. In a spiritual scientific approach to history and current events, the background principles, then, are actually the wills-in-action of certain beings or spiritual consciousnesses. According to the spiritual scientific researches of Steiner, the will of certain very powerful consciousnesses rule natural forces, such as the motion of the planets and the seasons of the Earth; the will of other spiritual beings pervades particular regions of geographical space on Earth and affects the human beings who live there. Then the will of yet another group of spiritual beings is operative in the course of time and has certain characteristics that affect human development and actions (1). We can choose to ignore all these beings and their effects, but if we fail to take note of the rain clouds and do not carry an umbrella, we shall get wet. When New Scientist magazine runs a cover story “End of the Nation (State) – The old world order is dying. What comes next?”(2), materialists will say such changes occur purely due to human actions in relation to the natural world (evinced by political or economic agents’ struggles over resources, for example), or to technological developments, and the more radical will even try to argue that the human actions making for the end of the nation state are driven by natural forces (biochemical, genetic, or psychological) of which, they will say, as individuals we are largely unaware. But a spiritual scientist cognisant with the research of Steiner will reply that towards the end of the 19th century one particular being, or consciousness, traditionally known as Gabriel and associated with the spiritual sphere of the Moon, charged with the rulership or supervision of a period of time in the affairs of humankind and the Earth(3) began to hand over his/her ‘office’ (gender is of course irrelevant in this connection) to another being, or consciousness, traditionally known as Michael, and associated with the spiritual sphere of the Sun. In other words, the spiritual ‘weather’ within which mankind lived began to change, and this transfer was reflected in the human world in various ways, one of which was the gradual change from nationalism to internationalism or supranationalism. This had to do with the fact that the being known as Gabriel is focused on everything to do with incarnation out of the world of spirit into the material plane; this means a focus on ‘particularity’, personality, particular communities, territories and nations, by which historical phenomena such as natural science and nationalism arise. Michael, by contrast, focuses on the opposite: excarnation, reconnection with the world of spirit: phenomena such as idealism, universal communities and organisations, by which supranationalism arise. Each time these two beings are ‘in office’ their particular tone sounds through and affects history for several hundreds of years. There are seven such beings supervising, or effecting, in sequence, over time. In their turn, these 7 beings are affected in different ways by 12 yet mightier spiritual wills or tones which govern longer periods of history. A Michael epoch will, whenever it occurs, always have the essential, above-mentioned characteristics of a Michael epoch but it will be variously affected by the nature of the 12fold being’s office in which it occurs. Each of these twelve wills is active for 2160 years of human time and is related to the regions of the Zodiac and the time the Zodiac appears to shift one zodiacal sign around the heavens in relation to the Earth. During the great 2160 year time period of one of these twelve wills-in-action then, approximately five of the seven wills will be active (as each of these seven takes about 350-450 years of ‘responsibility’ in human affairs). During the twelve ‘zodiacal’ periods, different parts of the human organism are developed – in body, soul and spirit – over many millennia; the action of the wills of the seven beings affect this development in different ways. One can observe phenomena (e.g. world events) that are examples of these wills in action. The actions of human beings, who can be described as spiritual beings having material experiences on the physical plane, take place in harmony with or counter to the wills of these higher beings that regulate time and development, beings with a much higher consciousness than the human. Like natural scientific cosmology, spiritual scientific cosmology is complex, but Steiner proffered that with all things that may appear difficult to verify at first, rather than rejecting them out of hand, the better way is to keep such concepts in mind and wait to see if, over time, life itself eventually confirms their truth, or otherwise. If we now turn to how this works out in actual world events, we can find much guidance in two courses of lectures that Steiner gave during the First World War; the first (Dec. 1916 – Jan. 1917) is titled The Karma of Untruthfulness (KoU) in English, and the second From Symptom to Reality in Modern History (Oct-Nov 1918). If we familiarise ourselves with the occult historical principles he lays out here, the fundamentals as well as the phenomenology of a symptomatological approach to history, and then consider the events of our own time, such as the relation of the group which calls itself ‘Islamic State’ (4) to the Ukraine crisis, against the background of these principles, looking for key symptoms, then we shall make progress in our understanding. For example, Steiner pointed out in KoU that “the whole of recent history [1413-1917] has to do with the struggle between the ancient Roman-Latin element and that element that is to be made out of the English-speaking peoples if they fail to put up any resistance to it.” (15.1.17) What he says elsewhere in the lecture makes clear that the element that is to be made out of the English-speaking peoples if they fail to put up any resistance to it means the one-sided commercial, industrial, materialistic element that strives for a global dominion, a commercial world empire. It was to protect and extend this world empire that the British elite went to war in 1914. A new historical period began in the fifteenth century and is still ongoing, that is, a new spiritual will began to be effective from the zodiacal level, which urges human beings to endeavour to develop themselves as autonomous individuals. For reasons which cannot be explained here now for lack of space, the northern European or Germanic peoples (which includes Scandinavians, English, Dutch as well as Germans) play a kind of vanguard role in this period just as other peoples played and will play such a vanguard role before and after this present epoch. (Steiner saw how human development passed though epochs of time each denoted by a particular civilisation. For example: The Egypto-Chaldean epoch, followed by the Greco-Roman epoch and our current one which he indicated began at the end of the 15th century and will continue into the fourth millennium). This period will last 2160 years, but the first part of it, approximately the first third (720 years) will be subject to two influences – one from the previous epoch, an influence which Steiner often called ‘the ghost of Rome’ and the other something new: a drive to penetrate the mineral aspect of physical life; obviously, this also has to do both with rigidity and fragmentation, two essential aspects of the mineral realm. This is why the western culture of the period 1513-1913 was strongly and necessarily imbued with the impulses of death and destruction that are associated with physical existence. (5) One need only think of the increasingly destructive powers released by religious and class-based rigidity in the 16th/17th and 18th/19th centuries respectively or by the forces of the industrial and scientific revolutions.This drive into the mineral was especially strong from the 17th to the 20th centuries, which was a Gabriel period (c.1510-1879). The drive into the mineral – literally, at times, digging down into the mineral Earth – which led to the development of modern physics and the Industrial Revolution, for example, was a key factor in the intensifying materialism of western culture in that period (early 17th to late 19th centuries; there were also other factors which I will not explore in this article). Steiner said: In striving upwards today human beings are endeavouring to do so not under the sign of spirituality but under the sign of materialism. In other words, the individual is striving for freedom but in doing so, has understandably abandoned the old authoritarian forms of spirituality without putting anything in their place other than the individual’s own understanding, and consequently, the individual’s striving for freedom inevitably became more and more affected by the deepening materialism of the age, secular and egoistic that shaped the intellectual environment of the individual. The result was the intolerant and destructive revolutions of the late 18th and 19th centuries and the various political and social ‘–isms’ which grew up at that time. These harmful social forces became ever more destructive as the age of Gabriel advanced, while at the same time, the first third of the period that began in the fifteenth century, as mentioned above, was affected by ancient Greco-Roman impulses in the arts and architecture, politics and education. During this period, however, the elites of the West had access to a form of occult knowledge that they did not share with anyone outside their occult brotherhoods. This too was a decadent form of the restriction of knowledge to particular communities that stemmed from the mystery centres of the Greco-Roman epoch and ultimately from the even earlier Eypto-Chaldean epoch. During the age of Gabriel (1510-1879), which was when freemasonry strongly developed in the English-speaking world and was propagated outwards from there, someone in a lower social order could gain access to this ‘secret knowledge’ only by becoming a member of the brotherhood. 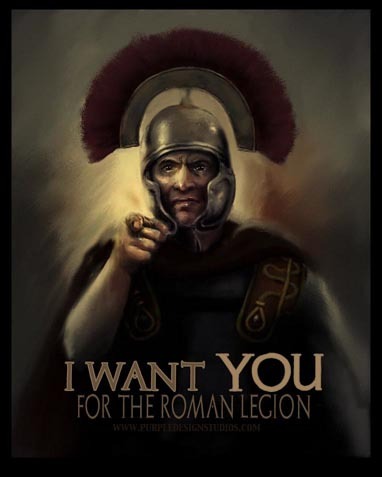 A young man aged 21 to 24 joining such a brotherhood and coming under the influence of older men of high status might become imprinted with ideals that would guide the rest of his life. Just such a young man was Cecil Rhodes (1853-1902), the Victorian mining magnate and ultra-imperialist, and an example of a significant historical symptom here is the Confession of Faith that he wrote in 1877. 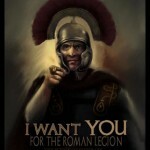 We see here the eye to Rome and the Jesuits (even though they were the sworn enemies of the freemasons), the aim to rule the entire world by a single people, the ‘Church of Anglo-saxonism’ as it were, the aim to merge with the United States and all the English-speaking countries, the aim to control education and the minds of the young, and to control and influence the Press in the direction of Rhodes’ ideal. Now most mainstream Anglo-American historians tend to belittle Rhodes’ Confession of Faith as the overheated-fantasy of an extravagant young man. (7) But this ‘fantasy’ has since 1877 largely become reality! All the aims set out above have more or less been accomplished. The world has been dominated by the Anglo-American world-view since 1945 and arguably, since 1917, when America entered the war to save France and Britain, the latter already bankrupt, never to regain its position as the world’s creditor. 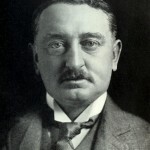 Anglo-American think tanks were set up in the wake of the First World War to coordinate Anglo-American foreign policy, and such coordination has largely been the case since the 1930s after British and American oil companies agreed on a division of Middle East oil reserves in 1928. (8) Oxbridge (Oxford and Cambridge), Harvard and Yale have become the four most prestigious universities in the world. Most of the mainstream media, press and publishing tend to support the main lines of Anglo-American foreign policy, from the UN to global warming; they collude in the suppression of the truth about the assassination of President Kennedy and the truth about the events of 9/11, and currently, in the paranoia about Putin and Islamic State, and the all too obviously faked videos of the “beheadings” of the American journalists James Foley, Steven Sotloff and the Briton David Cawthorne Haines, in all of the videos of which there was not a single drop of blood seen in the actual act of ‘beheading’ (!) as the camera faded to black before any blood was seen – strange behaviour for a group that is said to revel in the killing of infidels and which is supposed to seek to intimidate its enemies through gratuitous violence. The three victims themselves were utterly passive throughout, hardly believable unless they had all reached some stage of enlightenment during their captivity or else were on some kind of drug, which seems not to be the case. No actual beheadings took place in the videos; there has only been the repeated assertion that they did. Articles in The Daily Telegraph, and The Times have both acknowledged that the James Foley beheading was probably faked (9) but such acknowledgment is ignored by the rest of the mainstream media and even by those two newspapers themselves! may indeed have been killed at some point (though they may equally well be still in captivity somewhere) either by shooting or even by beheading, but they were almost certainly not killed in those videos, but it was those ‘shock and awe’ videos which have been used by the media and the governments of the West to justify their current policies, including a return to war by America and Britain in the Middle East. Since the revelations of the American whistleblower, former National Security Agency worker Edward Snowden last year about the extent of US spying worldwide, many are now familiar with the notion of the “Five Eyes”, the global surveillance system operated exclusively by the five English-speaking countries (US, UK, Canada, Australia, New Zealand), who spy on everyone else, including NATO allies and who share intelligence only amongst themselves, as Angela Merkel has, very publicly, recently been made aware – if she did not already know it. Despite all the talk in the Anglo-American media about “the end of the nation state” and “the age of the borderless world, “the cosmopolitan multicultural era” etc., as far as the elite of the English-speaking world are concerned, clearly, only people who are citizens of English-speaking countries and who subscribe to the values of the English-speaking elite are to be trusted. We can see in Rhodes’ Confession and in his biography that transition referred to earlier from the age of nationalism to the age of internationalism, which was in fact the transition between the offices or wills of the two spiritual beings – Gabriel and Michael. The late Victorian creed of Imperialism was a reflection of the confluence or overlap of these two spiritual impulses – one focused on a particular element of the natural, earthly world, and the other devoted to a warped ideal of ‘peace and service’, global in scope. 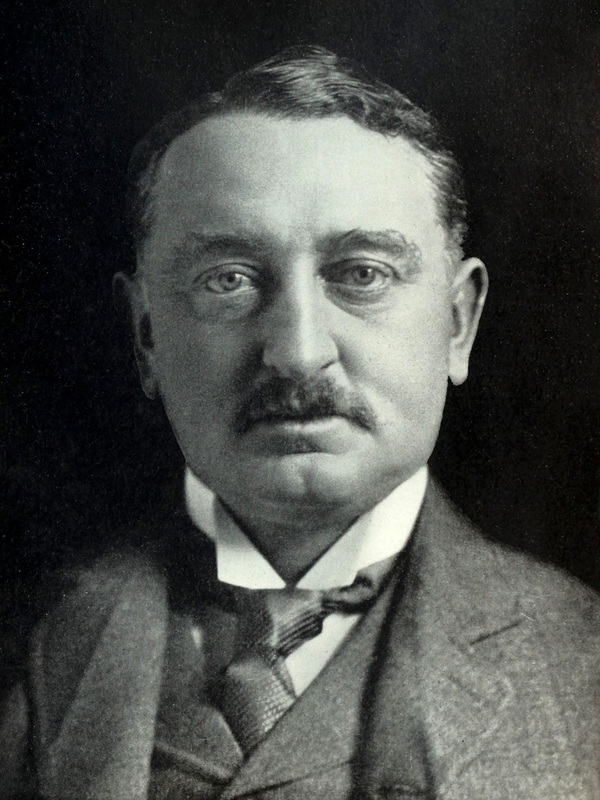 Rhodes was no old-fashioned nationalist or imperialist. It was not the monarchy or the aristocracy, the Church of England, or even the physical land of England that was important to him; it was ‘Englishness’ itself as an ideal, an ideology even, a faux religion for a man who had all but lost his religious faith. Rhodes was driven by his ideal that was global in scope, pan-human in fact but at the same time narrow and egoistic in that it really served and was rooted in only one human community – that of the English-speaking people. It was not actually universal in spirit at all. The words ‘narrow’ and egoistic’ are not meant pejoratively here, but descriptively. One is concerned here to understand this phenomenon of Rhodes and his Confession, not to judge. He really felt that mankind could only be at peace if it was governed by Englishmen, English-speaking people with ‘English’ values, and this literally ‘eugenic’ feeling was shared by countless other English-speaking people. One could imagine a Roman senator thinking something similar 1900 years ago – that only a world governed from Rome can be a peaceful, stable, civilised world. These days we so often hear glib statements in the media about “the international community”, when what is all too obviously meant is the US and the UK and their allies. In the endless policy papers produced by transatlantic think tanks, this same sentiment is apparent – that only a world guided by “American leadership” can be peaceful, stable, civilised, democratic. Despite all the talk about multiculturalism and the international atmosphere of our globalised world, when we read a magazine like New Scientist, we should note that only a few of the scientists referred to and the institutions they work at are not Anglo-American. When we watch or listen to a media organisation like the BBC, we should try to be aware that some of its key presenters are alumni of the British-American Project, a shadowy organisation (that stays well out of the media limelight) founded in 1985 by Sir Charles Hyde Villiers in order to coordinate opinion in the modern ‘transatlantic’ space, very much in the sense that Rhodes intended (The Society should inspire and even own portions of the press, for the press rules the mind of other people”), which is why he created his Rhodes Scholarship Trust, to expose promising young Americans to the chauvinist imperial thoughts they could imbibe at Oxford and then put into practice during their careers. But just as it was a key western strategy from the late 1880s onwards, very successfully executed over the following 60 years, to ensure that Russia and Germany stayed apart and did not collaborate, so it is very likely that we shall see the West searching for ways to drive Russia and China apart. Revolution, Islamic revival or war against Germany were envisaged by Britain’s Prime Minister and Foreign Minister Lord Salisbury in 1885 (14) as three ways of solving Britain’s “Russia problem”. Two of those tactics were later employed on a gigantic scale. The third has been in train since the late 1970s when Zbigniew Brzezinski advised Jimmy Carter to fund and arm the Afghan mujahideen so as to give the Soviets [Russians] their own Vietnam. This became one of the main tools to undermine the USSR in the 1980s. Russia was then confronted by Islamic radicalism in Chechnya, the Balkans (Kosovo) was then used as a weapon against Russia. Then the Muslim card was played against Russia in the conflict in Chechnya in the late 1990s, culminating in the Beslan school massacre in 2004; Russia was not pleased when President Slobodan Milosevic of Serbia was overthrown in 2000 following a NATO bombing campaign against Serbia, and Kosovo was split off from Serbia by the West and has since been host to the largest US military base in Europe, Camp Bondsteel. Continuous economic, diplomatic, covert military and cyberwarfare pressure from the West was put on Russia’s ally Iran and then after 2011, came the attack via numerous proxy armed gangs, many of them Islamist, funded and armed by the West’s friends in the region (Qatar, Saudi Arabia) on Russia’s Syrian ally President Bashar al-Assad, in the so-called ‘civil war’ which is still ongoing and destroying that country. In May 2013 US Senator John McCain entered Syria illegally from Turkey to meet with and encourage leaders of the Syrian armed opposition groups that have been creating the mayhem in Syria over the past three years. After all, what state in the world, democratic or authoritarian, tolerates violence against the state by armed gangs and does not try to put it down by force? Finally, the West professed to be horrified by the sudden emergence this year of Islamic State and its ultra-violence, yet another ‘shock and awe’ tactic that could be used by the western elite to gain the support of its populace and politicians for western military action in the region. The lack of official US and UK criticism of Saudi Arabia and the Gulf States (all loyal customers for western arms manufacturers) for arming and funding Islamic State has been deafening. Meanwhile, we see Islamic State-like groups emerging across the Islamic world, from Nigeria to Indonesia. Afghan Taliban groups talk about joining up with Islamic State, all of this focused on the idea of the cosmopolitan borderless Caliphate. The faked beheading videos have been used to front up a pretext for Obama to attack Islamic State in Syria as well as Iraq, thus enabling him to do what he (or those behind him) wanted to do last summer – carry out airstrikes on Syria – but was prevented from doing by the vote of the British parliamentarians, who for once showed some ethical backbone in foreign affairs. The West is thus fully ensconced in the Balkans, in the Caucasus (Georgia, Azerbaijan) and in Afghanistan(15); we can see that almost all the former Soviet bloc countries in Eastern Europe are now in NATO, as well as the Baltic states, two of which border directly on Russia. NATO is trying to draw Sweden and Finland into its tent. And then, to top it all, in November 2013 the West sought to entice Ukraine into its orbit and succeeded in doing so by means of a sordid illegal coup in February 2014 after the whole world had been treated to the sight of – once again – Sen. John McCain fraternising in Kiev with the Ukrainian Far Right Svoboda Party and to the sound of Victoria Nuland, Assistant Sec. of State for European and Eurasian Affairs (16) of the State Department caught on tape trying to organise which Ukrainian politicians would be levered into the desired pro-US Ukrainian government which was planned to replace the regime of President Yanukovych. $5 billion had been spent since 1991 by the US on ‘promoting democracy’ in Ukraine since its independence 23 years ago, she said at the National Press Club in Washington DC on 13 December 2013. The illegal coup in Feb 2014 year turned out to be Putin’s red line. He made his move and seized Crimea (with its key naval base at Sevastopol) back from Ukraine on the pretext of a popular referendum(17). The West then used this seizure as the excuse to recommence the Cold War. The English-speaking world’s opposition to Russia began in earnest in the Crimean War (1853-56). At that time Britain was the dominant, unipolar world power. In the 20th century Britain ceded that place to the USA. In May 2014 President Vladimir Putin declared that: “The unipolar model of the world is over. The global picture has completely changed”. The western media dutifully began to churn out daily propaganda against Putin, who has now become the West’s new bogeyman, while sanctions are ratcheted up against his country. All the western media talk is of “isolating Russia”, (in effect, a kind of ‘excommunication’) pushing Russia away from Europe, towards Asia. Having done that, the goal will most likely be to undermine and ultimately destroy Russia’s relationship with China so that a thoroughly “isolated” Russia can then be turned upon by its Asiatic and Muslim neighbours; the Russian rump will then be drawn into “the West”. The broad lines of this grand strategy were all there in The Economist in 1992, 22 years ago and in Zbigniew Brzezinski’s book The Grand Chessboard in 1997 which stipulated that Russia had only one possible future ahead of it – belonging to “the West”; all others, he said, would lead to its downfall. As Syria and Iran are both supported by Russia, we could conclude that in seeking to undermine them, this restructuring is therefore also intended to undermine Russia’s strategic position in the region in order to a) safeguard the US’ ally Israel, b) secure oil supplies in the region, mostly in Iraq and Saudi Arabia, c) protect its mostly Sunni Muslim client states in the region, Saudi Arabia and the Gulf States, from any possible threat from Shia Muslim Iran and d) win a victory over Russia in the ongoing geopolitical chess game in the Middle East and South Asia. We could note furthermore, that those forces in the USA that were calling for joint US-UK air attacks on Syria in August 2013 (e.g. Senators John McCain, Lindsay Graham and their allies) following alleged (but never proven) use of chemical weapons attacks by Syrian government forces (another ‘shock and awe’ tactic), and who were frustrated by the vote against such action in the British Parliament, are now saying that to defeat I.S. comprehensively, the US and the UK have to launch air strikes in Syria and that (according to UK Prime Minister David Cameron, a strong supporter of last year’s failed air strikes) this is acceptable and legitimate because, they claim, President Assad is a war criminal, not least because of those (unproven) chemical attacks. We could therefore conclude that IS has become a convenient excuse for launching attacks on Syria, ostensibly to attack IS in Syria but also to attack President Assad’s forces if they “get in the way”, because his forces too are held to be illegitimate. In other words, for the US and UK, Syria has become de facto, a chaos without a legitimate government, just like Libya since 2011 and like Somalia, and the semi-chaos in South Sudan, Afghanistan, Yemen and Iraq. This has been the result of US-UK interventions and actions in these regions. On the whole, human beings tend to prefer order, even a stifling order, to chaos and constant insecurity and anxiety. 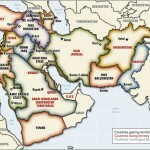 Western actions in the Middle East, however, have removed those forces of order (e.g. Saddam Hussein, Mubarak, Gadaffi) which were holding chaos at bay and they have done so in the name of “freedom, democracy, human rights” etc. But the result has been chaos and the emergence of an apparently far worse force, that of IS; the process has been similar to Russia in 1917: the externally prompted removal of a previous order, the fall into violence and near anarchy and the subsequent emergence of a far worse and more brutal ‘new order’ . Whose interests are served by the removal of order and its substitution by chaos? Clearly, not those of the people of the region. Western governments, which always condemn political violence at home, encouraged and supported political violence and armed uprising against Mubarak, Gadaffi, and Assad, and looked the other way while sources in its Sunni Arab client states, Saudi Arabia, Qatar and Kuwait, all strongly opposed to Shi’ite Islam, funded and armed the uprising in Syria. (20) If that had not happened and Assad’s state had not thereby been weakened, IS would not have been able to gain a foothold in Syria. We have been told repeatedly that IS has become powerful in Iraq because it is so ‘modern’, because of its technological savvy in its use of the Internet for communications and propaganda, its bank robberies in Mosul and seizures of Iraqi Army equipment including heavy weaponry, tanks and even helicopters. But this is to ignore the support given to IS since its inception by America’s Arab client states. Indeed, there are grounds for believing that the founder of IS himself, Abu Bakr al-Baghdadi, under a pseudonym, was present at that intimate meeting with Senator John McCain and others in 2013! (21).McCain claimed not to know. His organisation, International Republican Institute (founded 1983), channels funds to groups in foreign countries around the world that it wishes to back in taking power from governments in those countries. In whose interests is the West creating lasting chaos in the Middle East? Certainly not the interests of American business, not even the major arms manufacturers, because they do their most profitable business with compliant and stable US client states like Saudi Arabia and the UK. In an earlier article in New View I pointed out that it is very much in Israel’s security interest – as perceived by some in the Israeli elite – that potentially hostile Muslim states in the region fall into chaos and I indicated the Israeli Oded Yinon Plan of 1982, published by the World Zionist organisation, which envisaged a strategy of deliberate fragmentation of the Arab world “into a mosaic of ethnic and confessional groupings that could be more easily manipulated”. But this understandable though reprehensible Israeli plan to ensure Israel’s security in its own small region of the world by creating chaos among those of its neighbours which it perceives to be hostile does not suffice to explain what has been happening in the Middle East since 2011 or its connection to the West’s worsening relations with Russia since that year. For just as the small wars of 1911-1913 in North Africa and the Balkans led on inexorably to the ‘global event’ of 1914, so the upheavals in N.Africa and the Middle East since 2011 have led on to a confrontation between the West and Russia in 2014, and now this is repeatedly being called in the western media, almost with approbation, a ‘new Cold War’ and even the possibility of military conflict between NATO and Russia, which inevitably raises the truly horrendous prospect of a possible nuclear exchange, something we imagined we had left far behind decades ago. Russia’s opposition to the West’s destabilising actions in Iraq, in Libya, in Syria and in Ukraine has led to hyperventilating western media lining Vladimir Putin up with Philip II, Louis XIV, Napoleon, the Kaiser and Hitler. Putin may not exactly be Nelson Mandela, but he certainly does not deserve to be placed with those five English hate figures. He sees Russia as defending itself from unjustified encroachments by NATO and the EU that the West said in 1991 would not happen, but did – facts detailed by John J. Mearsheimer even in the inhouse magazine of the leading American thinktank the Council on Foreign Affairs (Sept 2014) in an article titled: “Why the Ukraine is the West’s Fault”. President Obama said on 10 September that the United States “will not hesitate to use force against anyone who threatens America’s core interests”. That was how Putin regarded the actions of those he saw as the illegal coup leaders in Kiev; he saw them as threatening Russia’s core interests. He moved against them by taking Crimea and supporting the separatists in Eastern Ukraine, and in doing so, moved against the EU, NATO and the USA. 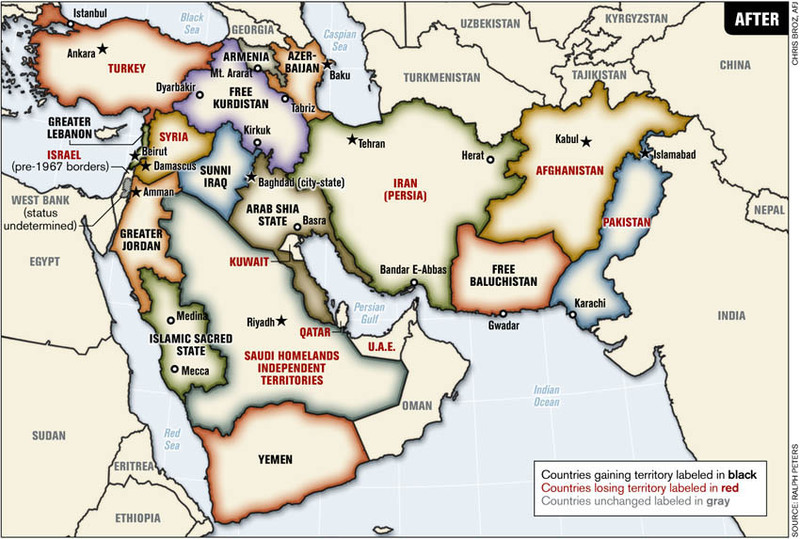 Since the First World War Britain and America been seeking to remake the Middle East as they see fit in order to undermine Russia and no other powers, such as Germany in 1914 or Russia in 2014, are to be allowed to challenge “the core interests” of the new Romans in the Middle East. It remains to be seen whether Vladimir Putin’s words of May 2014 will be borne out: “The unipolar model of the world is over. The global picture has completely changed”. (3) According to Rudolf Steiner, there are seven such ‘offices’ of seven different time spirits; they recur cyclically, each lasting for about 350-450 years each: Oriphiel, Anael, Zachariel, Raphael, Samael, Gabriel, Michael. (5) Here is a paradox, because it was said earlier that the Gabrielic influence (16th – early 20th centuries) is focused on incarnation into the material, that is, the birth pole of life, whereas the Michaelic influence is focused on excarnation, the death pole, and indeed this is why traditionally the archangel Gabriel is shown as the archangel of the Annunciation to Mary while Michael is shown at the gate of heaven weighing the souls of the dead. But birth out of the spirit onto the material plane is actually spiritual death as one enters the realm of death and decay, which is earthly existence, whereas physical death means return to the realm of the non-dying, the spirit. (6) Rhodes and Stead were assisted above all by Reginald Brett, Lord Esher, the third man who founded the society in 1891 and the closest adviser to the Prince and King. Esher, married to the daughter of the man who, together with British Foreign Secretary Lord Palmerston, founded the Kingdom of Belgium in the 1830s, was the behind-the-scenes fixer of Edwardian England and played a key role in the preparations for Britain’s entry into the First World War. (8) The ”Red Line’, or Achnacarry agreement. See F.William Engdahl, A Century of War – Anglo-American Oil Politics and the New World Order, p.87. (15) 9 US bases and 15,000 NATO troops are to remain in Afghanistan after most US forces leave in 2014. (16) She is married to the NeoCon Robert Kagan, co-founder of the now defunct Project for the New American Century. (17) The USSR transferred Crimea from being an autonomous republic to Ukraine in 1954. (18) We could well imagine that the USA is seeking to support Israel, its ally in the region, by undermining and even eventually overthrowing the governments of Syria and Iran as planned in A Clean Break – A New Strategy for Securing the Realm, a document prepared for Israeli Prime Minister Benjamin Netanyahu in 1996 by the US NeoCons Richard Perle and Douglas Feith. It advocated a new pre-emptive policy: the removal of Saddam Hussein, the containment of Syria through a strategy of proxy warfare and a focus on the two countries’ alleged “weapons of mass destruction”. Israeli did not officially adopt the policy but the USA has de facto effected it since 2001.